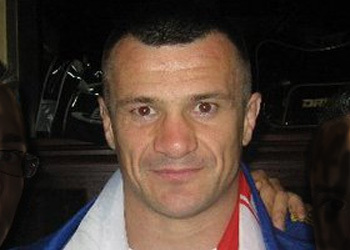 Following his lackluster performance against former heavyweight champ Frank Mir on Saturday night, Mirko “Cro Cop” Filipovic and nine of his fellow UFC 119 fighters received medical suspensions from Indiana’s governing body. After 14 minutes and two seconds of the most forgettable pay-per-view action in recent history, Mir landed an unexpected knee to CC’s grill that knocked him completely unconscious. By the time the Croatian sensation came to his senses, he was staring a 180-day sabbatical and mandatory CT scan dead in the eyes. Former welterweight title holder Matt Serra faces the same fate after getting pummeled by Chris Lytle for the better part of three rounds. Last night’s event took place inside the Conseco Fieldhouse in Indianapolis. It marked the Octagon’s Hoosier State debut.